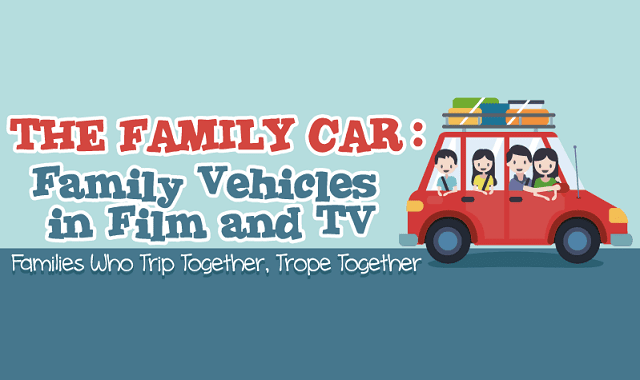 The Family Car: Family Vehicles in Film and TV #Infographic ~ Visualistan '+g+"
Many road trip movies are their own version of The Hero's Journey, a classic style of story structuring. There is the call to action, the wise old man, the obstacles along the way, the lowest point of the story...and of course, there's always a happy ending! People come back from road trips wiser, more accomplished, and and seeing clearly for the first time. Maybe that's why we love those kinds of movies so much. If we love the road trip movie, then we also must love the vehicle that makes it possible – the family car or station wagon! This infographic is a collection of some of the most memorable family cars in television and movies. Besides road trip vehicles, there are some other memorable TV cars, too! Cars like the Flintstones family car, which besides being a car was a great way to get some exercise! There's also the Jetson family car, memorable for that catchy cartoon intro where it folds up to the size of a briefcase. Do you have a favorite?